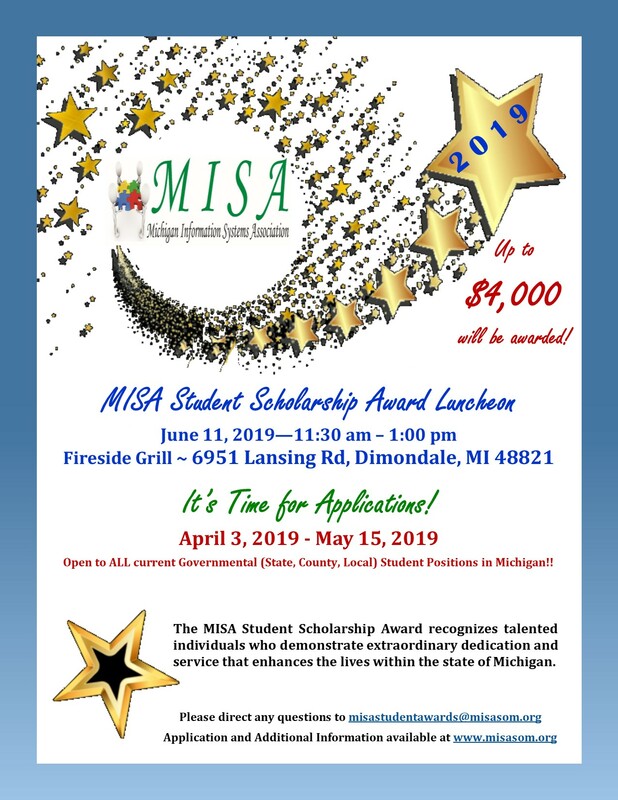 MISA is now accepting applications for an award of scholarships up to $4000 total to qualifying currently employed with a governmental agency (e.g., state, or local) in a student position (paid or unpaid). Students will be able to submit completed applications from April 3rd through May 15th. Any received applications after May 15. 2019 11:59 PM will not be considered. MISA Student Scholarship Award Flyer by clicking here. MISA Student Scholarship Application (MSSA-01) by clicking here. Please direct any questions to Jessica Lounds at misastudentawards@misasom.org.